Read more about KSR.info 2.0! 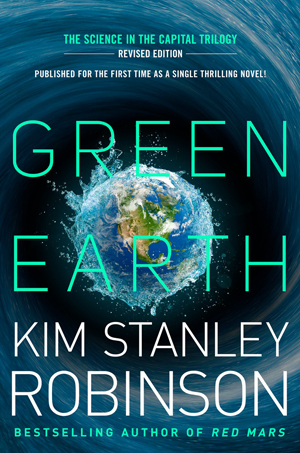 Kim Stanley Robinson's "Green Earth" just came out, in paperback and e-book! "Green Earth" is more than an omnibus edition of the three books in the Science in the Capital trilogy, Forty Signs of Rain, Fifty Degrees Below and Sixty Days and Counting. "Green Earth" combines them in a compressed single volume -- fully updated and compatible with today's world and three hundred pages shorter, but still counting 1100 pages! "Green Earth" appears as a single volume to coincide with the UN Framework Contract on Climate Change 21st Conference of Parties in Paris, later in November and start of December -- where world leaders will gather to hopefully steer world development towards a more sustainable path than greenhouse gases-heavy business-as-usual. It is also a title that fits well with much of KSR's work, like an extension of his famous Red/Green/Blue Mars trilogy (and is also the title of a chapter in Blue Mars!). Almost fifteen years have passed since I started that project, and in that time our culture’s awareness of climate change has grown by magnitudes, the issue becoming one of the great problems of the age. In this changed context, I had the feeling that quite a few of my trilogy’s pages now spent time telling readers things they already knew. Some of that could surely be cut, leaving the rest of the story easier to see. Science fiction famously builds its fictional worlds by slipping in lots of details that help the reader to see things that don’t yet exist, like bubble cities under the ice of Europa. Just as famously, novels set in the present don’t have to do this. If I mention the National Mall in Washington D.C., you can conjure it up from your past exposure to it. I don’t have to describe the shallowness of the reflecting pools or the height of the Washington Monument, or identify the quarries where that monument’s stone came from. But the truth is I like those kinds of details, and describing Washington D.C. as if it were orbiting Aldebaran was part of my fun. Nothing important was lost in this squishing, and the new version has a better flow, as far as I can tell. Also, crucially, it now fits into one volume, and is thereby better revealed for what it was all along, which is a single novel. The real-life counterparts of Phil Chase and Charlie Quibler gather in Paris to iron out an agreement to replace the Kyoto Protocol (1997-2012) and usher a post-2020 era with more ambitious action on combating climate change. According to the UN, contributions of countries in preparation of the Paris meeting "have the capability of limiting the forecast temperature rise to around 2.7 degrees Celsius by 2100, by no means enough but a lot lower than the estimated four, five, or more degrees of warming projected by many prior to [this process]" -- certainly higher than the 1.5-2 degrees most scientists deem as minimal damage for humans and the biosphere. Read more about Out now: GREEN EARTH! Aurora traces the story of one of the generation starships flung out from the solar system during the Accelerando, Robinson’s alternative name for the prophesied technological Singularity. In previous books these launches have always been something of a dead end: those explorers journey (as he says in 2312) “beyond human time, beyond human reach” into “a vastness beyond comprehension,” outside history itself. 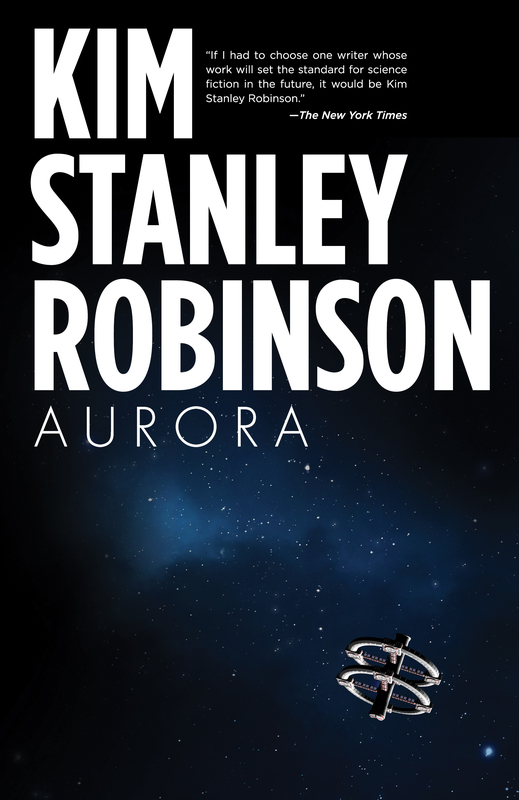 [...] I think Aurora may well be Robinson’s best novel. ...and from Gary K. Wolfe for the Locus of July 2015. Podcasting duo Gary K. Wolfe and Jonathan Strahan also did an extensive interview with Stan for Coode Street here. We are delighted to be able to present what is one of the first major discussions about this extraordinary new novel, which we think will prove to be one of the standout SF novels of 2015. Stan also talked to the Verge ESP podcast, here. More material -- and KSR tour! -- as it becomes available. Read more about Out now: AURORA!